Today I want to tell you all about a super positive experience I had recently regarding accessibility. Ever since I started using a wheelchair more and especially since I become independent and got my powerchair I've totally had my eyes opened to how inaccessible the world can be for disabled people. We all have different access needs and using a wheelchair means that even one step into a shop, for example, can look like a mountain to me and others. In my local town centre the access is generally good but there is a small shopping centre with some shops that are basically a no go zone for me. Last year I finally decided I'd had enough though and I contacted the worst big chain shop access wise, Topshop. My local Topshop is made up of 3 floors and I'd always known that there were escalators to get up to the first floor, steps back down and then steps down to the lower floor, I also just assumed there was a lift to all floors. I don't shop in Topshop all that often so when me and my Mum went in there, with her pushing my wheelchair, we were pretty disgusted to find that there actually wasn't a lift. 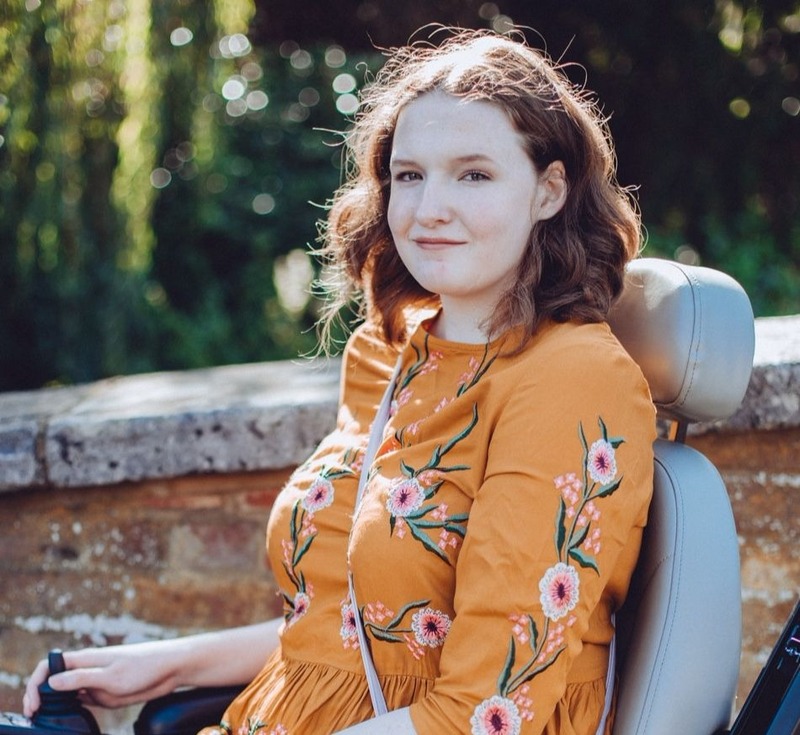 The Equality Act states that shops have a duty to make reasonable adjustments and I was sure that putting in a lift was reasonable for a big brand like Topshop to do. Apparently I was wrong. I emailed Topshop and after a few exchanges I stopped replying after they basically said that the process of putting in a lift would be too inconvenient for other customers. Always lovely to hear that a company values it's able bodied customers over it's disabled customers, I was under the impression we were all equal. So, when another shop caught my eye in terms of lack of access I was hesitant and nervous about contacting them. I had no need to be though because what followed was the most positive interaction with a company that I'd ever had. I hadn't fully noticed the access problems with my local LUSH store until I got my powerchair, the step to get into the shop is small enough that my Mum could always get my wheelchair and me up and over the step with ease but in a powerchair this isn't possible. LUSH is a shop that I do really love going into so I put my nerves to the side and sent them a tweet. The conversation that followed couldn't have been better. I understand that the shop legally should be accessible already but when this isn't the case so often it is nice to celebrate when shops own up to the problem and quickly sort it out. The manager of the St Albans store was very open and honest with me and explained that the accessibility issue wasn't something that they had been aware of until I'd said something. Often if you don't personally know anyone who is disabled then you won't have any idea what some of our access needs are and something like a small step being a barrier isn't a thought that comes to mind so I'm glad I spoke up and told them. They apologised and said that they had ordered a ramp that should be with them soon, I honestly couldn't believe that they had reacted so positively and also that they wanted to correct things so quickly. The ramp was in store within a couple of weeks and at the start of August I went to try it out and everything went perfectly. 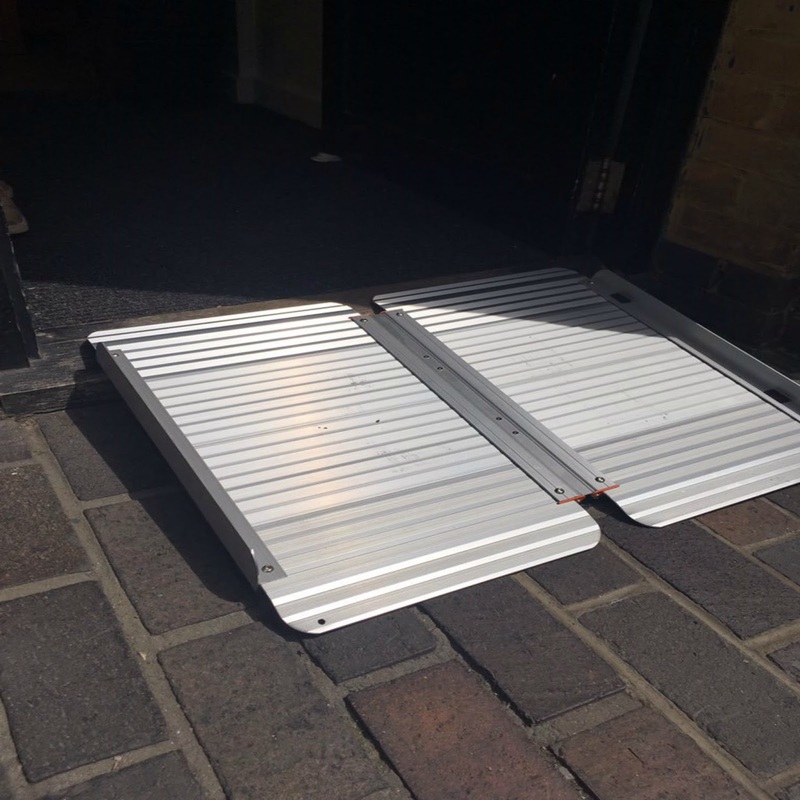 The ramp managed to take the weight of my powerchair easily and it will enable so many people to access the shop! You have to ask for the ramp if you require it, which is no problem, except for the fact that in theory I was the only one who knew about it as there wasn't a sign to let people know that it was available. I emailed them to suggest putting a sign up and they impressed me again by saying that they had already requested for one to be made! As I said before I realise that shops like LUSH are legally required to be accessible already but when so many shops and public places still often aren't I think we should definitely praise places that put their hands up, apologise and quickly put things in places to improve their accessibility (especially when big brands like Topshop don't seem to care). A huge thanks to the team at the LUSH St Albans store for being so friendly and wonderful, I'll have no worries about going in store again. Love this post! 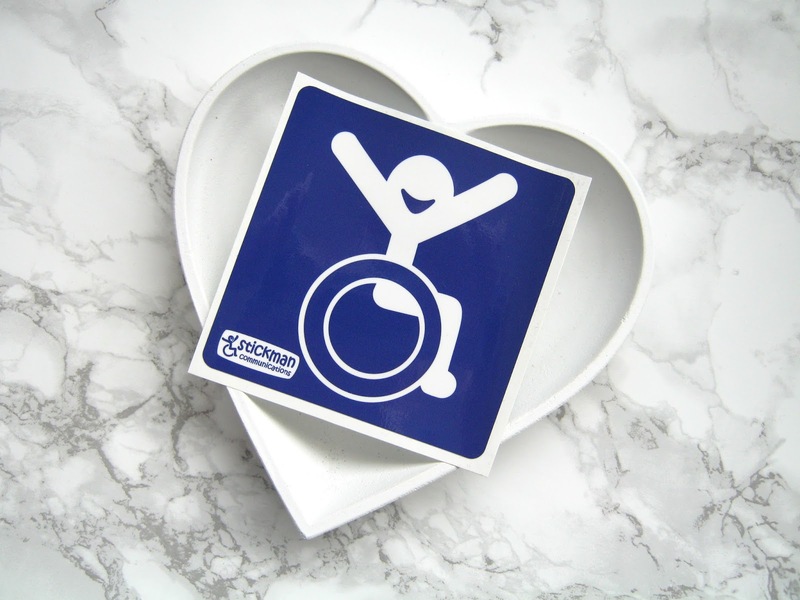 So great to hear of stores that desire business from everyone - disabled or not! Hopefully, in time, if enough people speak up, Topshop will join others like Lush. Glad you liked it! Hopefully, best thing we can do is keep speaking up but also keep praising shops and public places that take steps to improve accessibility with no fuss. I remember you tweeting about this! It puts faith back into our local shops, especially a big brand like Lush doesn't it? I can imagine your annoyance with Topshop though! Will Topshop ever learn that barriers are bad for business? An ageing population and existing population of individuals with mobility disabilities will inevitably have an effect on their bottom line if they don't adapt. Although, perhaps they should go out of business given their inability to innovate. Congratulations to Lush for their prompt attention to your concerns but it seems that this law needs a marketing campaign to inform your retail sector. Shona, your actions have helped many others, keep up your advocacy and blogging. I don't think shops quite realise how much of the population they are excluding by not even making basic access changes. I do know of some people who take shops to court over accessibility, I just wish I was well enough and informed enough to do that! Thank you.